I have over 20 years of massage and bodywork experience, helping clients resolve pain and dysfunction within their body, and providing stress reduction. Whether the cause is an injury, a long-term or postural problem or just overdoing it, I carefully assess and treat the cause of the issue, as well as the symptoms. Treatment of your condition may include self-care exercises and stretches, and possibly changes to daily physical activities. Recommendations for additional or alternative therapies may also be made. Therapeutic approaches in your session may include clinical massage therapy, the Emmett Technique, Hakomi and Bowenwork. Take advantage of our online scheduling tool to book the day and time that suits your schedule. In your first session, we will have a detailed discussion of your condition and the options for treatment. A powerful manual therapy that stimulates self-correction within the body’s connective tissue, nervous system and energetic pathways. Chronic pain and postural issues can be resolved with several sessions. The effects of recent trauma can be resolved in very few sessions. This is a very effective therapy for hormonal imbalances, fertility issues, fatigue, headaches, nervous tension and insomnia. This is specific attention to sore, restricted, or imbalanced muscles and connective tissue. Tendonitis, repetitive stress injuries, muscle fatigue and injury are common conditions that benefit from this approach. Runners, triathletes, cyclists, swimmers, and people playing sports of all kinds can often need support in their athletic endeavors. Gradual onset conditions like runner’s knee, IT band syndrome, plantar fasciitis, shoulder immobility and joint problems can all be avoided with consistent therapy focused on reducing tissue congestion, stimulating lymph flow, maintaining muscle and tendon resiliency, and correcting muscular imbalances and alignment issues. As a mother’s body goes through the processes of pregnancy and childbirth, stresses on joints, tendons, and muscles occur. Treatment of specific issues like low back pain, sacroiliac and hip pain, limited lymphatic flow, and post-partum recovery can be essential to the quality of life and the future health of the mom. Injuries from recent trauma, repetitive stress, muscular and postural imbalance, or illness can all benefit from specific treatment to enhance circulation, reduce swelling, control muscle splinting and calm the nervous system. Old injuries benefit from reduction and realignment of scar tissue, increasing range of motion and correcting imbalances due to compensation patterns. Recent injuries recover more quickly with bodywork. After a twenty year career in professional theater administration and design, I came to realize that I was on an accelerated path to self-extinction. While in the process of changing my life for the better, I realized that there were many people that could also benefit from learning how to reduce stress and physical pain in their bodies. This realization led me to the practice of massage therapy and bodywork. I believe that we all have the inner capacity to heal ourselves, given the right combination of external resources and stimulation of our own inner resources. This belief is central to my approach with all clients, whether helping to resolve a chronic pain condition or injury, gain greater flexibility, or improve performance in a sport. Combining disciplines in a holistic approach that respects the specific needs of the individual, I work with each client to create a treatment plan. This plan may involve the use of one approach or a multiple of them. The duration, frequency and number of sessions will depend on the goals of the client and the conditions requiring attention. 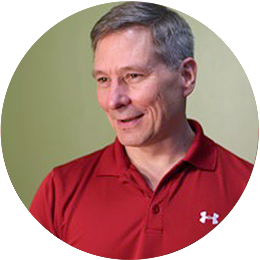 Techniques used are based in my extensive trainings in clinical massage therapy, Bowen and Bowenwork therapies, Hakomi and the Emmett Technique. Chicago School of Massage Therapy – 650 hour Massage Therapy program, completed April 1998. Hakomi Institute – 144 hour Hakomi for Bodyworkers training, completed December 1999. Hakomi Institute – 324 hour Principles, Theory and Technique of the Hakomi Method of Experiential Psychotherapy training, completed November 2003. Bowen Therapy Academy of Australia – 500 hour Professional Bowen Practitioner training, completed 2008. Certification in all levels of advanced training. Licensed in the State of Illinois for Massage Therapy. ...The addition of Bowenwork into my alternative health care schedule was one of the most important steps I have taken to really get my whole body health on track. The process of self-healing that Bowenwork initiates is gentle and gradual, yet incredibly powerful. After an initial series of four weekly sessions, followed by somewhat regular maintenance sessions, I feel like my body is finally working as it should... Read the entire quote >> Sarah W. ...Through his gentle, non-invasive touch and simple moves, it was not so much as having something done to me, but engaging my body in its own self-balancing... Read the entire quote >> Joan W.
...His warmth, openness and non-judgmental manner welcomed my questions and observations during each session, which increased my confidence in perceiving the needs of my own body... Read the entire quote >> Marianne F.
... Jeff is caring and compassionate. He has supported my family through injury, chronic pain, a new baby and everyday stress. My husband and I feel so blessed to have found Jeff Muskovin... Read the entire quote >> Mary C.
This exercise will strengthen the muscles of the hips responsible for hip extension. This series of exercises will strengthen many of the primary hip muscles responsible for stability. Perform each exercise, with as many repetitions as you can do until you feel fatigue in the muscles. This active stretch is designed to energize and recondition the spinal muscles responsible for holding you upright. Many of us suffer from pain between the shoulder blades, from muscles that have been fatigued from working in a seated position for long hours. This exercise / stretch will give you back the motor control and strength that have been lost to pain and dysfunction. Perform this as often as possible throughout the day, doing 5-10 repetitions each time. This exercise alone will not recondition the upper spinal muscles. Specifically focused bodywork will be an essential partner in any reconditioning effort. This exercise is great for freeing up restrictions in the spine. It provides a stretch to the connective tissue of the central nervous system. It is best to perform this exercise with at least five repetitions on each side, and to do this each morning and each evening. Enjoy the restored freedom you will feel in your entire body!